Your gateway to global trade, DMCC is the ideal place to grow your business in Dubai, the UAE and beyond. Here in the heart of Dubai, at the centre of the Jumeirah Lakes Towers district, you will find all you need to live, work and thrive. Made for Trade, DMCC has everything to set up, grow and build your business. Four times crowned ‘Global Free Zone of the Year’ by the Financial Times fDi magazine, it is home to a vibrant community, innovative infrastructure, world-class services and a stunning choice of properties, all minutes from excellent air, sea and road links to the world. Today, DMCC is the dedicated global centre for more than 15,000 businesses from a wide range of industries and sectors, as diverse as agro, energy and financial services to diamonds, gold and base metals. 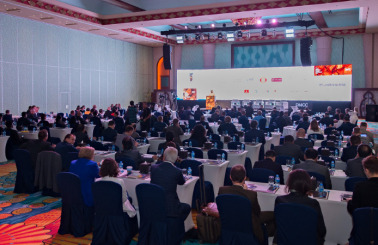 As a DMCC member, you can access all the advantages of unparalleled trade connections direct to Dubai, the UAE and world’s key commodities markets. Alongside almost 90,000 people and more than 15,000 companies attracted by our vibrant community, you will be in good company. From work to leisure, enjoy the very best of all worlds in an iconic destination, combining excellent commercial opportunities with an outstanding quality of life. How can DMCC benefit you? To get started, we offer everything you need to set up your business in a regulated trading environment, directly connected to global markets. With pre-approval to establish your new Dubai branch within days, your business can be up, running and trading in no time in the world's #1 Free Zone of the year. Established in 2002, DMCC is a government entity with a strong record of investment in the innovative infrastructure, regulatory frameworks and services you need to succeed. 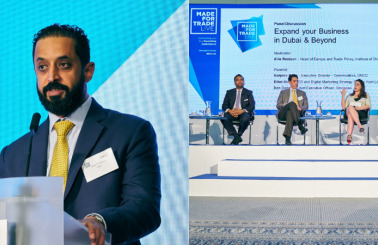 With an ongoing commitment to set the global standard, DMCC will continue to make Dubai the place to be for global trade. Today, tomorrow and for generations to come. 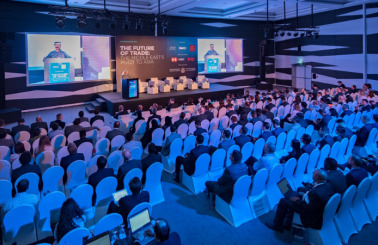 A world-class district by DMCC, Uptown Dubai is set to become the new ‘Hotspot’ of Dubai offering a 24/7 live-work-thrive experience for residents and businesses. To enhance your sustainability credentials, One JLT is a premium LEED Gold Standard building that offers energy-efficient commercial space over 14 floors and a space efficiency rate of 82%.